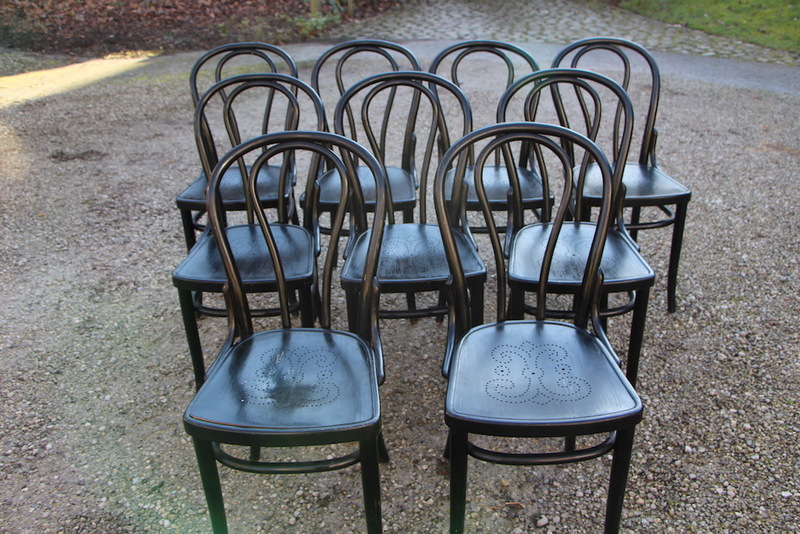 Set of 9 black Thonet wooden chairs. 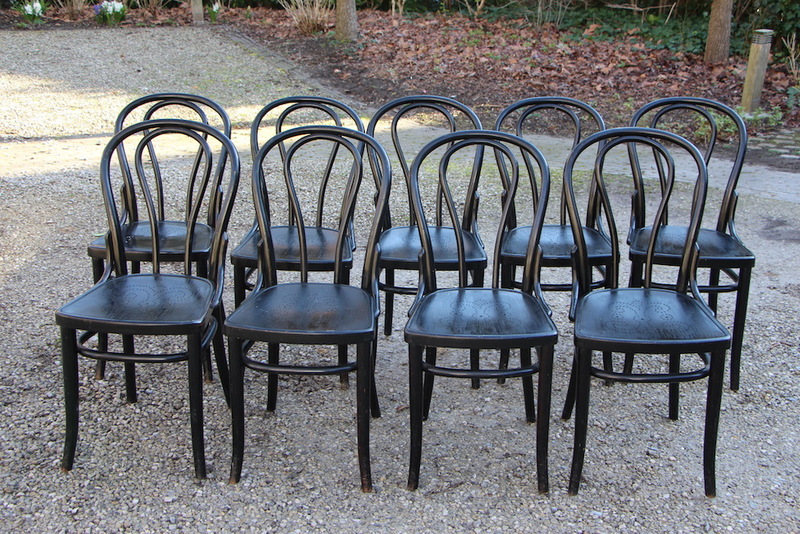 I don't think I have to present Thonet to anyone living in Europe, right? 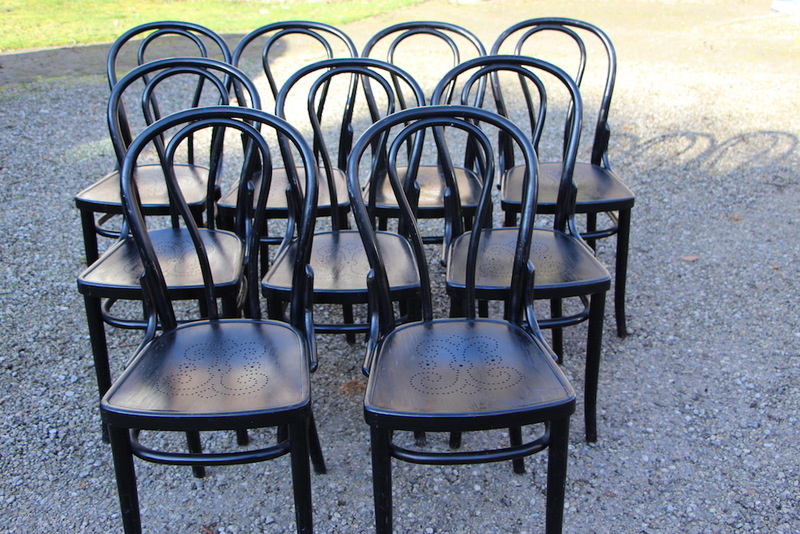 The brothers Thonet have made such beautiful and amazing work throughout all of our contries for more than 100 years. 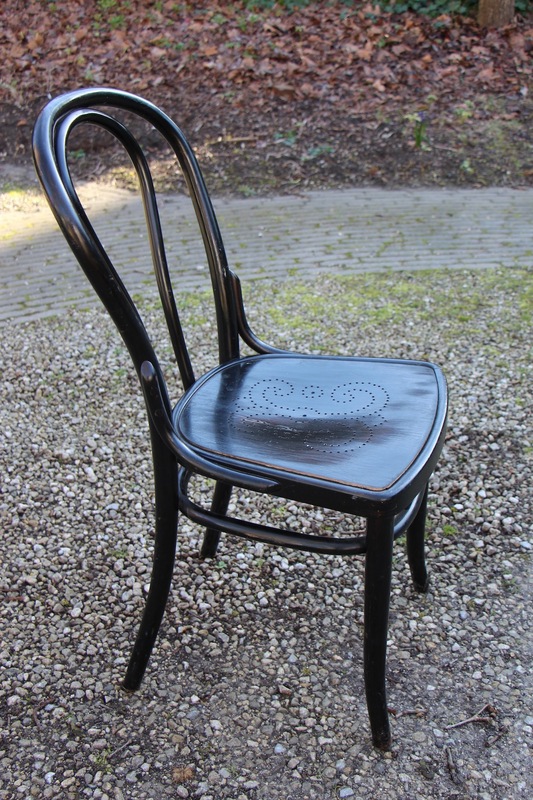 We're all kind of used to seeing these chairs, be it in hotels, brasseries, restaurants or in one of our grandmothers' homes. Haven't we all grown up with these? They were put around the kitchen table in a loose way, kind of bohemian like, never too stricitly ordened. 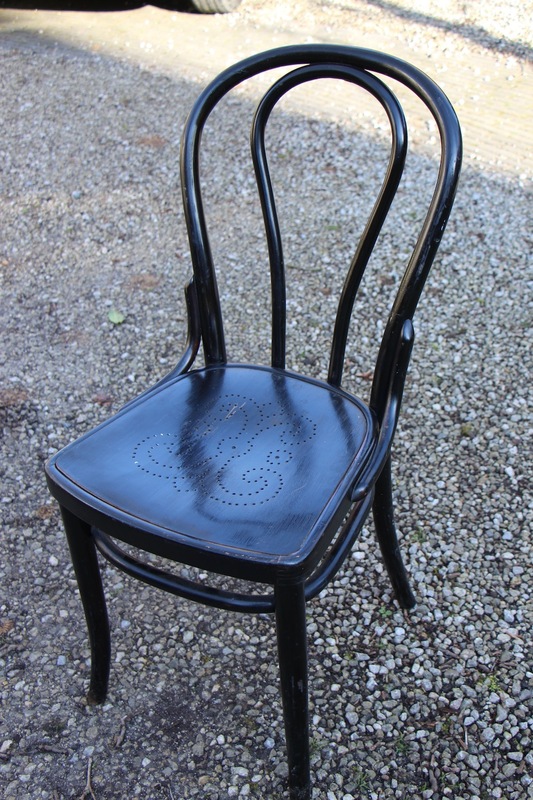 Sometimes caned, sometimes painted over the years in white or black. We've seen these in good and bad shapes but they're part of our childhood that's for sure! 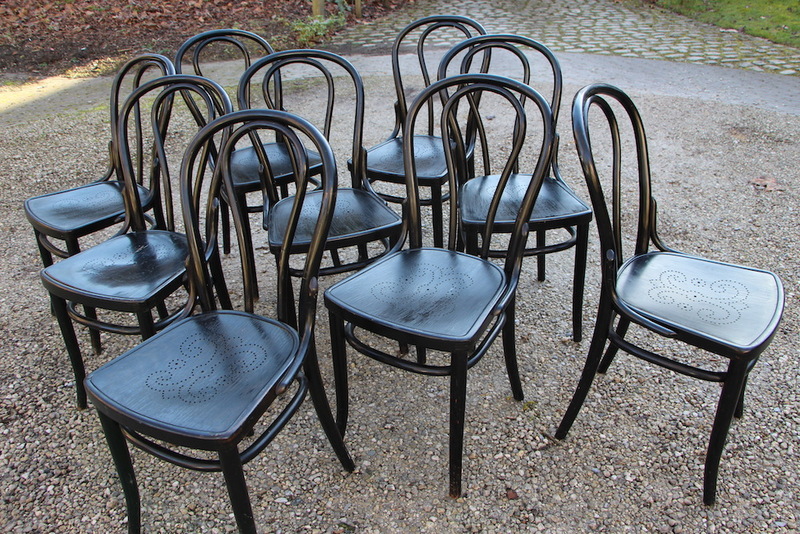 So Thonet is not exactly what I would call vintage because it's not typically fifties, sixties or seventies. It's more timeless. 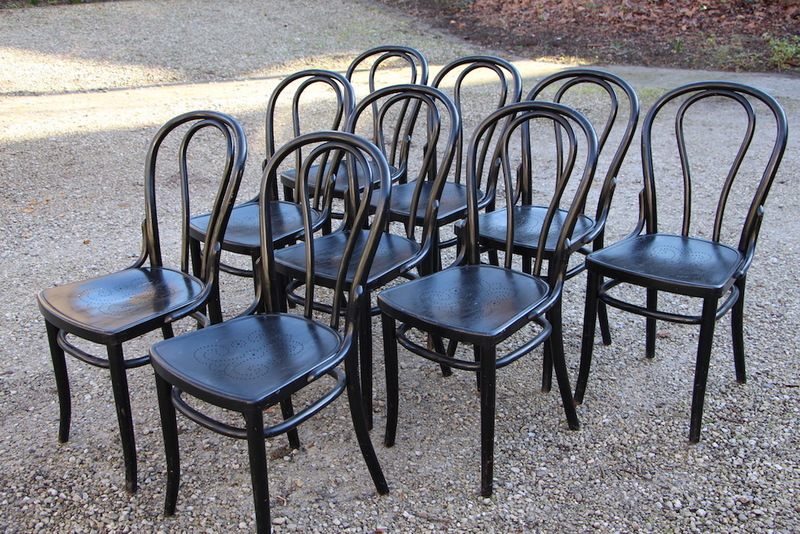 And that's what makes a Thonet chair lovely, you can use it around a very strict and modern table. 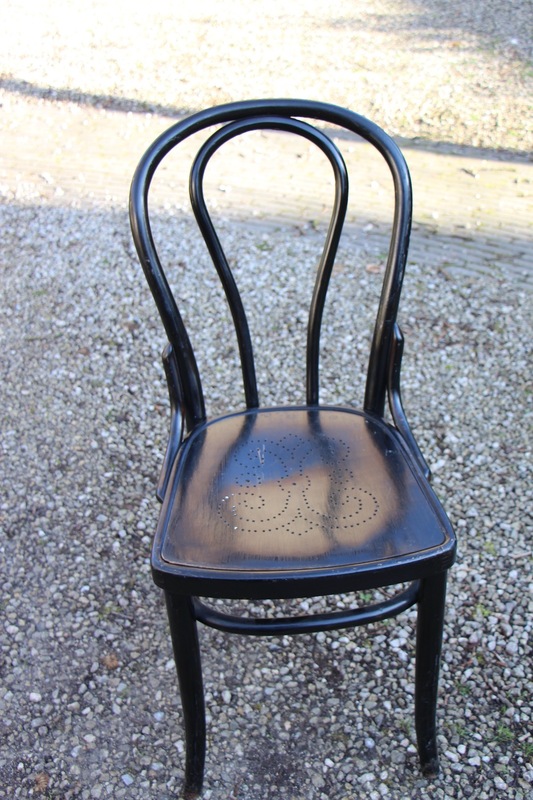 The round shapes of the chair will make the lot look more smooth and cosy and will add a little historical touch to your interior. They're also very nice to have at the country side if you are the happy owner of a house out there.